For the week, the SPX/Dow lost 2.2% while the NAS/NDX lost 2.0%. Since what we believe is the Major 2 low, we count a possible 5 waves up complete. Minute i at 2520, Minute ii at 2444, Minute iii at 2739, Minute iv at 2682 and Minute v at 2817. We have been producing a Weekend Report for the OEW group and mentioned a couple of weeks ago that Minute v looked to be subdividing and that did indeed happen. We label this subdivision as Micro 1 at 2762, Micro 2 at 2731, Micro 3 at 2813, Micro 4 at 2775 and Micro 5 at 2817. The action possibly wrapped up Minor 1 on Monday and we believe Minor 2 has been underway since. Several of criteria we were looking at to help confirm have now been met, like a break of Micro 4 at 2775 and largest pullback of the UT from 2347. This data suggests that Minor 2 is underway and likely to confirm a DT in the coming weeks. The action this week saw Minor 1 tentatively complete at the previously mentioned 2815 area of resistance which had capped both Int B and Minor B of Int A. 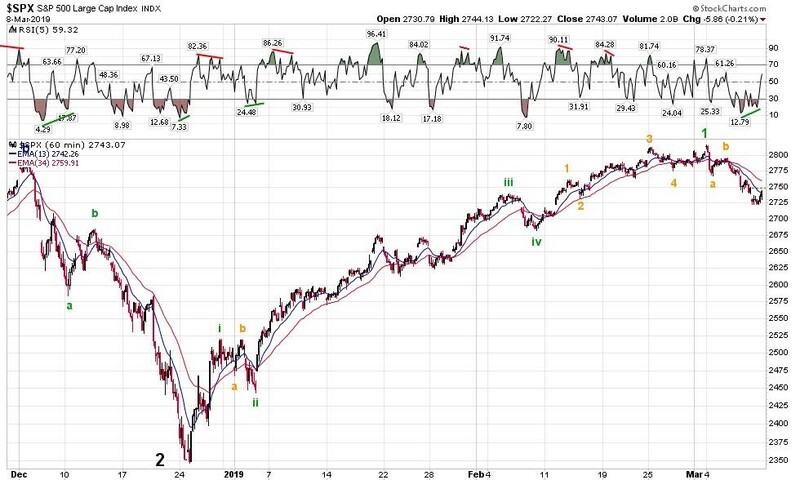 On the squiggle chart this week we have three waves down, 2817>2768>2796>2722 so far. When this completes it will likely be Minute A, we expect to see a Minute B rally before another decline for Minute C to complete Minor 2. Short term support is at SPX 2731 and the 2656 pivots with resistance at the 2780 and 2798 pivots. 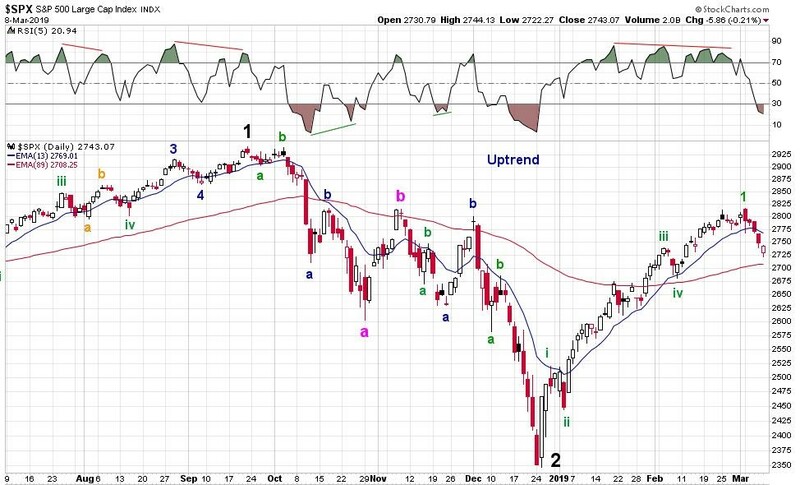 There is currently positive divergence on the 60 minute chart with the daily chart now oversold. Asian markets were down on the week and some lost as much as 2.5%. European markets were down as well and lost 1.5%. The DJ World index lost 2%, and the NYSE lost 2.2%. Bonds are in a downtrend but gained 1.4%. Crude remains in an uptrend and gained 0.5%. Gold is in a downtrend but ended flat%. Bitcoin is in a downtrend and lost 1.9%. The USD is in an uptrend and gained 0.8%. Thanks goes to the OEW Group for pulling this together. Thank you for posting, and thank you to those who put the work into this report. Loosing Tony and his insights are a huge loss. It made me very happy to see his work again. 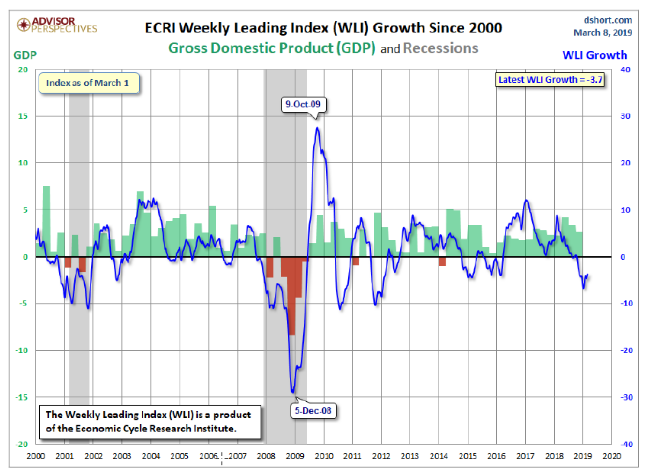 Now that OEW is posting at least weekend updates again, I will not share my weekly major market digest anymore. Thank you to those who appreciated me sharing my knowledge and insights while OEW was getting back on track. 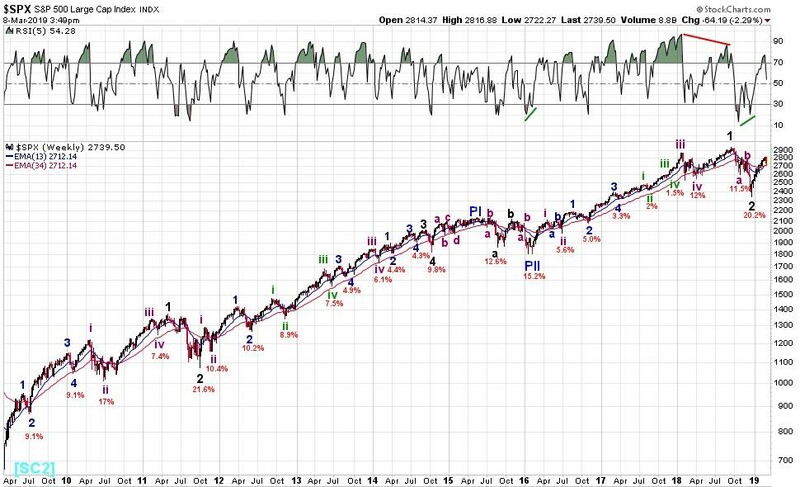 For now, what I do want to share is: NYMO (McClellan Oscillator for the NYSE) has closed for three consecutive days below -40 and outside its lower bollinger band. Normally after two such days the third day is a big up day (which would have been Friday). Obviously that didn’t happen. Hence, this signals a weaker market than usual, but also that a snap back rally is more imminent than ever. How wonderful of you folks to honor Tony and to continue his life’s work in this way. In Plato’s symposium, one reading of Diotima’s speech to the young Socrates implies that immortality is achieved when the teacher’s students continue on as teachers to the next generation. Tony has certainly achieved this here. Thank you Christine and the OEW Group … very much appreciated! Monitor and adjust! The Elliott wave lives on! Raymond. Take it easy. Christine is finding her way and has a lot on. Tony preached patience, so please honour that. What a great way to honor Tony. Thanks for posting Christine and OEW.